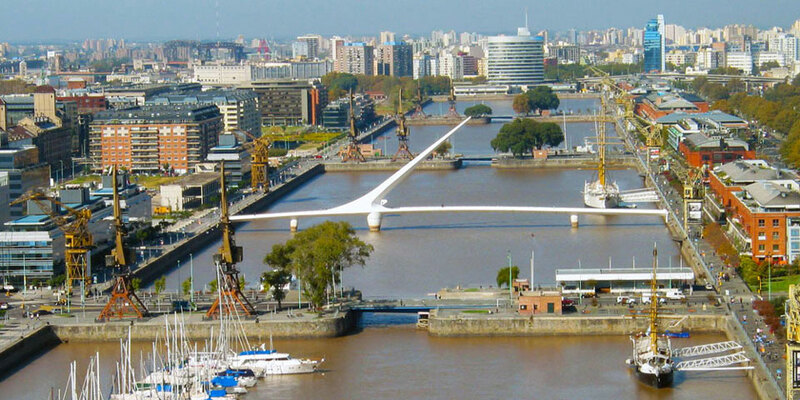 Puerto Madero is the newest neighborhood of Buenos Aires. 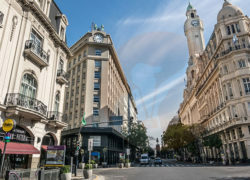 Just a few blocks from the old San Telmo and the busy city center, Puerto Madero looks like a different city. Its characteristic historic port buildings made of bricks and old iron crains combine with modern luxurious low rises, fancy restaurants and glass walled skyscrapers. Furthermore, you’ll find here a giant ecological reserve and access to the waterfront. 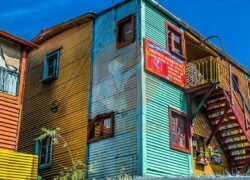 Check this post to see what’s best to do in Puerto Madero. This landmark makes the classic postcard of Puerto Madero. It is a bridge built by the famous Spanish architect Santiago de Calatarava in 2001. The abstract design is a synthesis of a couple dancing tango. Puente de la Mujer (in English Women’s bridge) honors all the argentine women who were important part of our history. 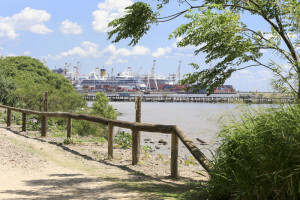 You can enjoy crossing it and walking along the old docks of the historic port of Buenos Aires. 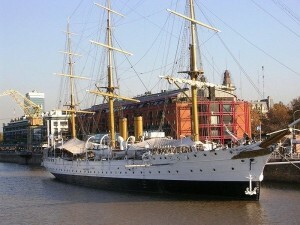 Right next to the bridge you will find the Fragata Sarmiento, a historic ship that served for the Argentina Navy. Today the ship serves as a museum with nautical tools. 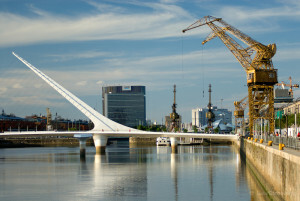 Puerto Madero was the old commercial port of Buenos Aires. Its picturesque industrial brick buildings have been refurbished to host universities, restaurants, offices and residence. On the other side of the canal the docks are faced by low rises and a modern skyline of luxurios buildings. It is very nice to walk along by the water enjoying the view, the restaurants and panorma of this part of the city. 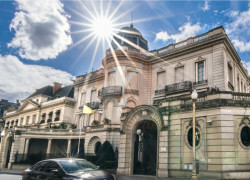 Next to the canal you will find the Colección de Arte Fortabat, the most important museum in Puerto Madero with works of Andy Warhol, William Turner and some of the best Argentine Painters. Check this post for more info. This natural park was recovered and turned to a reserve in 1986. 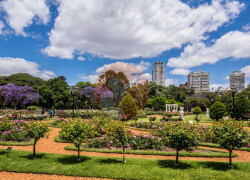 A long time ago, these area used to be enjoyed by the citizens. 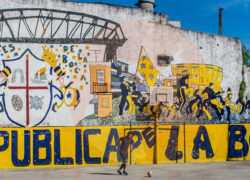 Buenos Aires grew and the pollution as well, making the river an unhealthy place. The zone was abandoned and in 1978 the government started to throw debris to extend the land to build a public building, but that project was discarded. Nature started to claim the space again and, thanks to the constant floods, the vegetation appeared again. 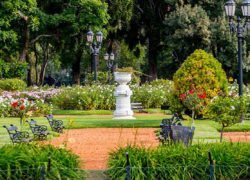 Nowadays it is a lovely place to learn about nature and the best place in Buenos Aires to see the Rio de la Plata. Next to the Ecological Reserve you will find many foodtrucks. 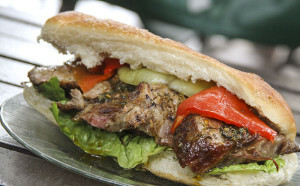 Some of the best street food in the city can be found here: Choripan, Lomito and basically any type of meat sandwich. But nothing is better than a good Bondiola (pork meat sandwich). Warning: not for those on a diet! !